Leave credits are considered as rights and benefits that your employees are entitled to. It is important for leave credits to be used accordingly so that the rights of the employees regarding their allowed paid leaves can be protected. However, the rights of the business should also be considered especially in relation to its attendance, operational demands and leave regulations. What Information is Included in a Police Auto Accident Report? If you want to organize the leave request and approval processes of your business, then develop a leave request form. If you will use an electronic leave request form, make sure that you know different Ways on How to Write a Formal E-mail so that the transaction will still be business-appropriate. Refer to the samples that you can download in this post if you need content and layout guides when making a leave request form. 1. Create a regulation regarding leave filing and requesting so that you can minimize the questions and inquiries about the proper usage of the leave request forms. You may also see report forms. 2. The usage of leave request forms should be based on the workforce needs of your company and the kind of operations that your business is immersed in. You have to consider different factors that can affect the productivity and performance of your employees before implementing actual leave request form usage. 3. Always be accurate when placing the information that you would like to get from the employees who would like to request for a leave. Remember that this document can affect the attendance, performance evaluation, productivity assessment, leave credits and payroll of your employees. Hence, the leave request form should be created in a precise and understandable manner. 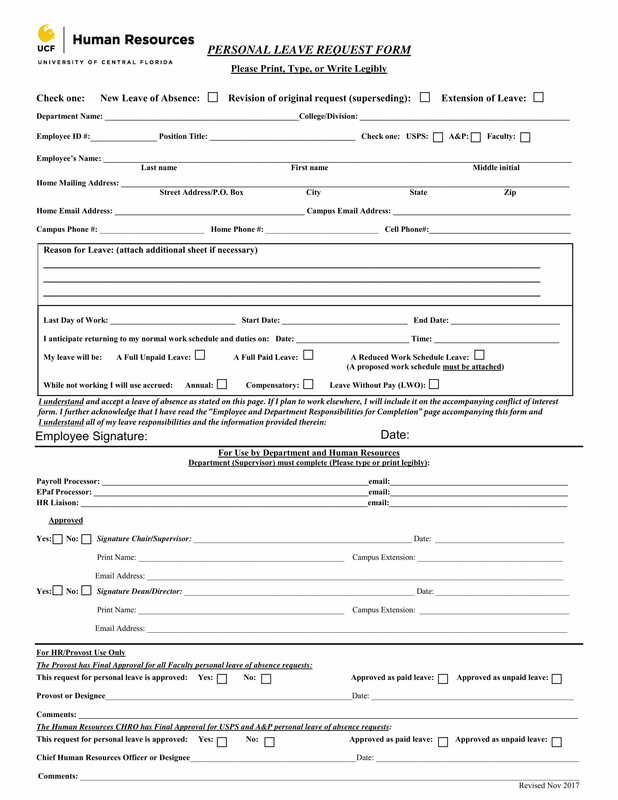 You may also see interview evaluation forms. 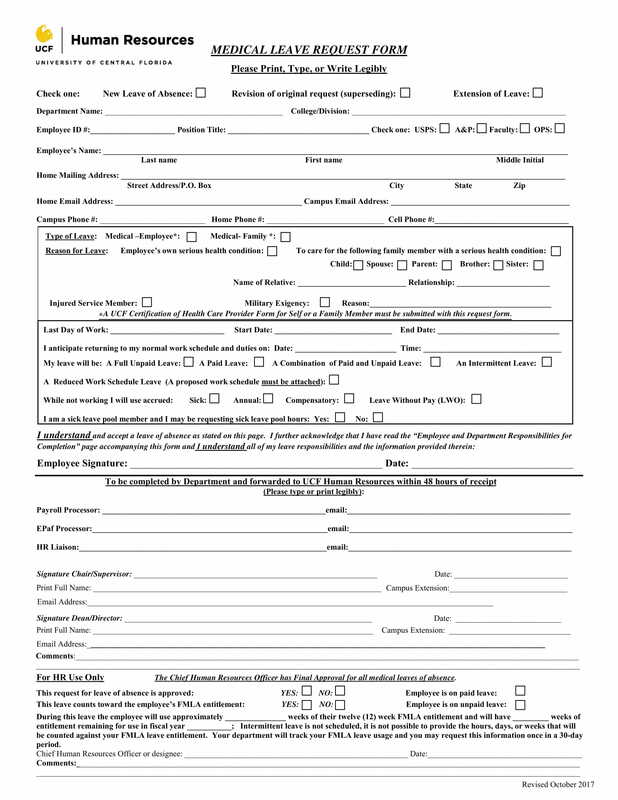 Do You Want an Effective Leave Request Form? 1. Do not put a lot of information on the leave request form. As much as possible, make the form precise and concise. Phrases can be used instead of long messages so that you can make the leave request form simpler. You may also see performance review form. The date when the leave request has been filed. The date when the leave request form has been answered. The dates of the leave duration. The date when the employee is already expected to be back at the office. 3. The design of your leave request should help the business to have a faster transaction when it comes to filing leaves and identifying whether it should be approved or not. It is important for your leave request form to always have the specifications if leaves will be paid or not and if they will fall under a sick leave, a maternity leave, a vacation leave or any leave credits that you allow your employees to use. You may also see invoice forms. 1. The human resource department should always be aware of the leaves that are requested by the employees. Even if the department heads can approve the leave based on the need for the workforce, the human resource department is the one in charge in terms of the payroll and tracking the leave credits of employees. Coordinate with the HR of your company so that all details regarding leaves and attendance of employees will always be updated. 2. Always familiarize yourself with the different types of leaves that employees are entitled to. This will allow you to evaluate whether the leave request of an employee can still be granted based on his or her remaining leave credits for the entire year or for a particular time period set by the regulations of the business. You may also see job application forms. 3. 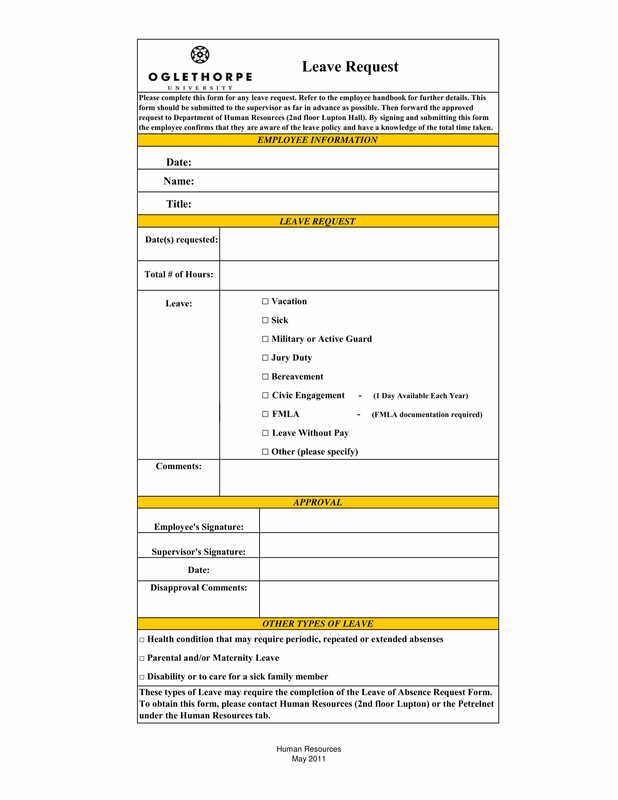 Guide the employees regarding the regulations of the leave request form usage. It is not enough for you to create a leave request form. You have to make sure that all the employees are aware on how to fill it up so that the facts that they will include in the form will be complete and relevant to the information needed by the management. 4. Refer to samples of leave request forms so that you can easily identify the information that you can include in your own form. It is essential for your leave request form to find the balance between the importance of content and format so that the document can be used efficiently for a long time period. You may also see employee goals. 1. 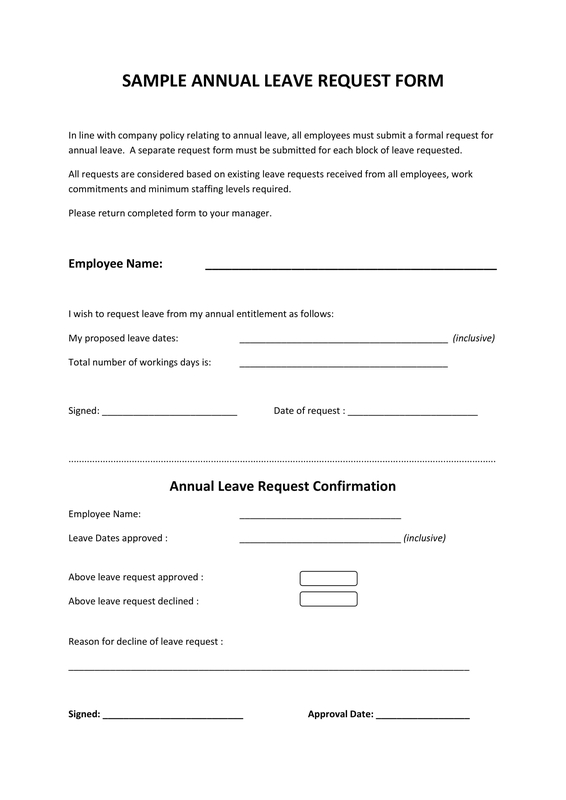 A leave request form can serve as the formal notice from the employees that they would like to file a leave. 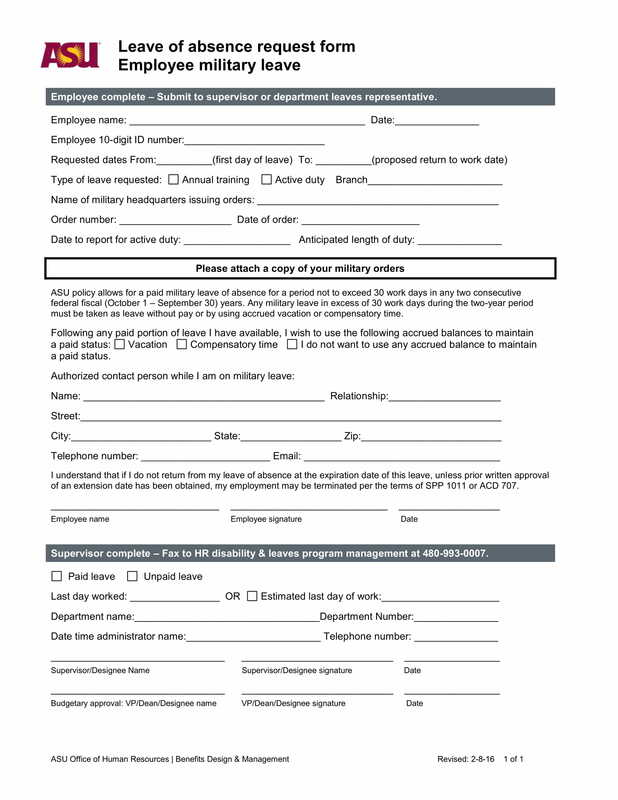 It is important for this notice to be given days or even weeks before the actual leave so that supervisors can identify how it can affect the functions of the department where the employee is designated at. 2. 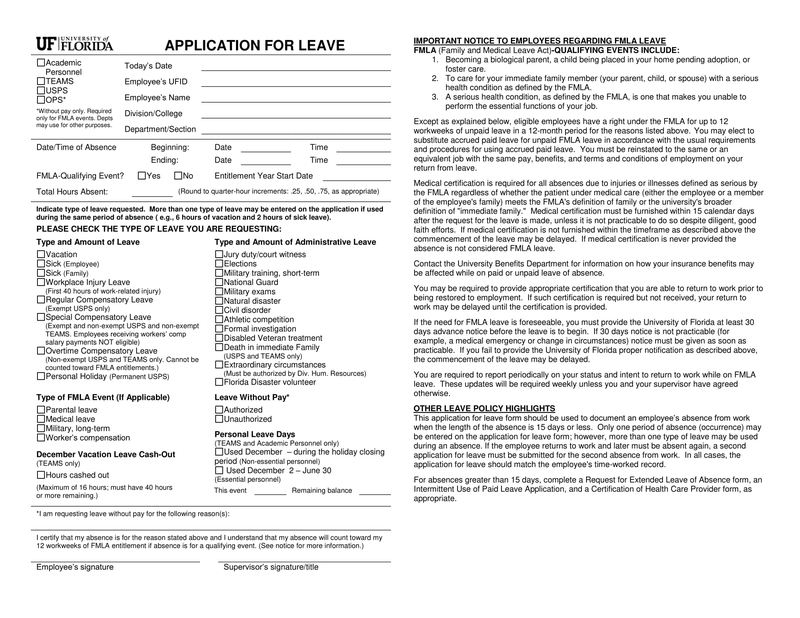 A leave request form can help document all the items about the leave request. This can make it easier for the human resource department to apply the leave credits of the employee to the payroll. Being able to come up with an effective leave request form can truly benefit not only employees but the business as well. 3. 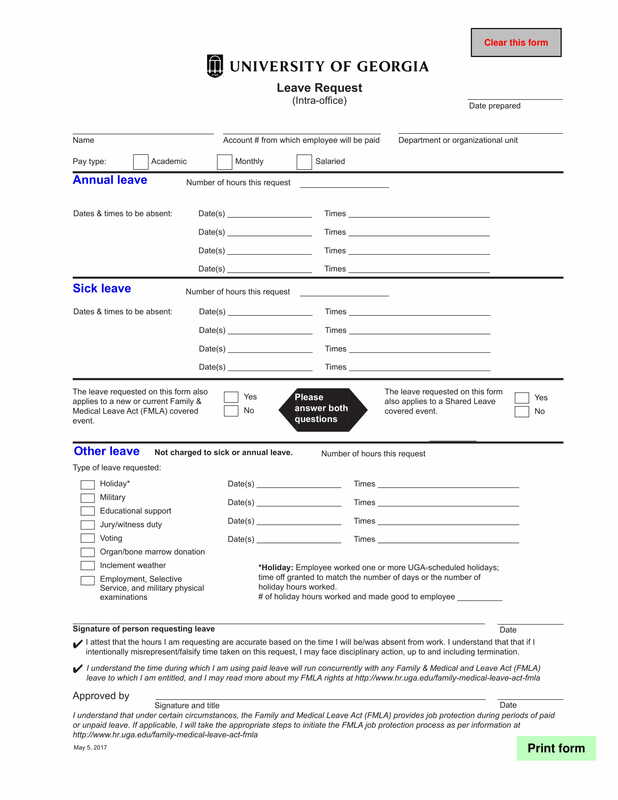 A leave request form can be used for attendance verification. It can be faster for the management to evaluate the performance of an employee in relation to his or her attendance if proper forms like leave requests forms will be used. You may also see hr memos. 4. A leave request form can ease the scheduling processes that should be done within a business division. For a particular time period; working hours, leaves and other schedule-related data should already be plotted. If a leave request form will be present, then leaves can already be foreseen and appropriate schedule rearrangements can easily be done. 5. A leave request form is a formal way to take a time off from work. Even before the actual date of leave, a leave request form can already be assessed so that the employee will know whether he or she will be allowed to not go to work on particular dates. Hence, this form can help immediate supervisors and managers to track the dates on which leave credits can be used which are normally the off-season for operations. You may also see employee schedules. 6. 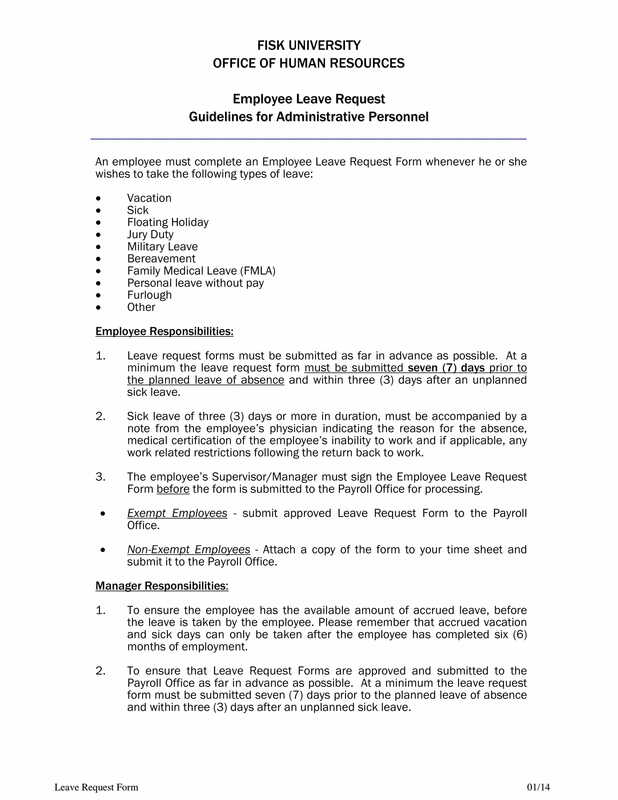 A leave request form can identify the kind of leave that the employee would like to use. Companies provide different kinds of leaves to their employees and it is important for these leave credits to be checked so that both the rights of the business and the employees regarding this matter can be protected and considered. 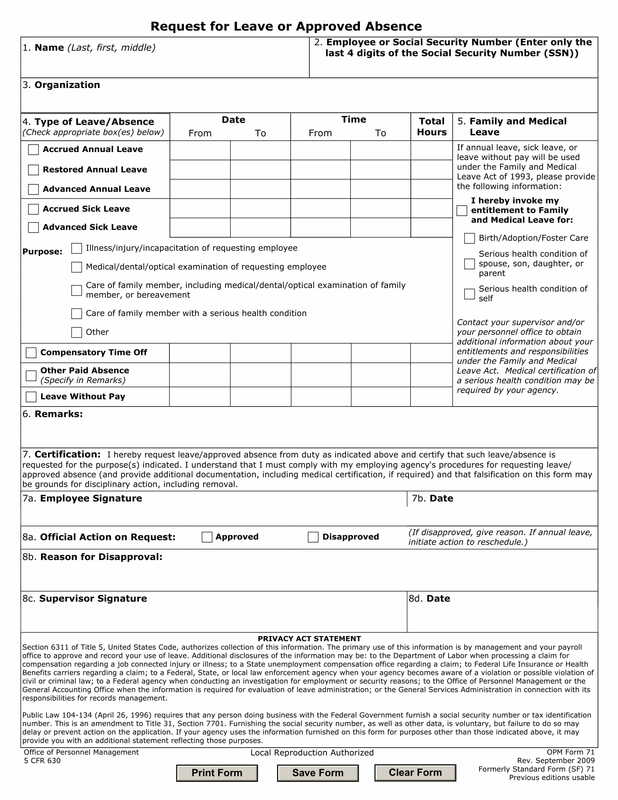 Ready to Create Your Company’s Leave Request Form? Just like a request for a proposal, it is also important for employees to create a leave request whenever they would like to take a time off from work. There is nothing more professional to do than to identify the needs of the business first before making decisions which can affect the operations. 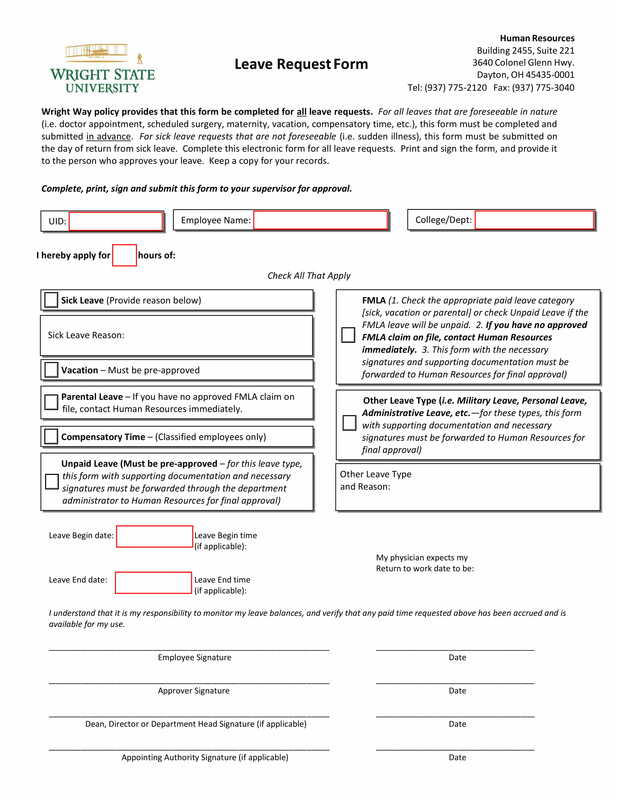 A form can easily make leave requests look more organized and business-appropriate. If you are planning to create your company’s own leave request form, we hope that you will refer to the samples listed in this post. You can even download them so you can have references whenever there are things that you have forgotten. Moreover, ensure to read the entirety of the discussion so that you can be more knowledgeable on how to create an impressive leave request form that can change the way leave requests are being filed, processed and approved or declined in your business. You may also see employee notices.